Shopping bebe on the go has never been so easy. Browse the full fashion collection, easily zoom for details and enjoy secure, super-fast checkout. Shopping in-store? 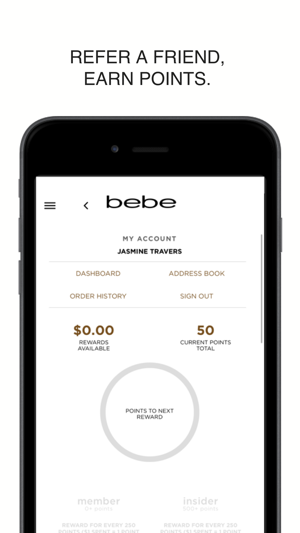 Try bebe’s store locator and inventory look-up features to find what you want, right where you are. 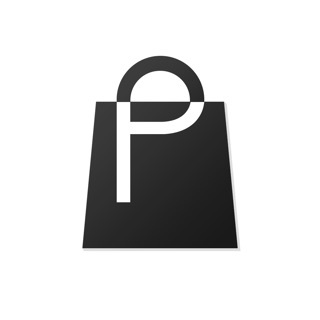 You can even scan items for customer reviews and get exclusive in-app offers! 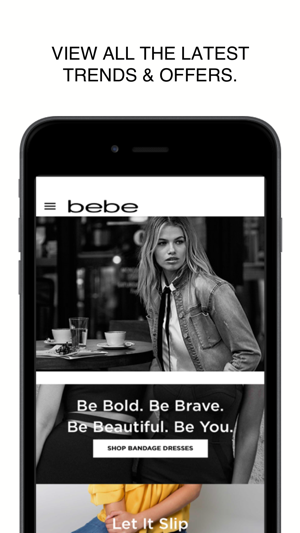 We're continuously working to improve the bebe shopping experience. The experience on this map is mediocre. Not intuitive, lots of incoherences. When you want to navigate to the previous page layout, you have to go to the main menu and select the products all over again. The shopping experience is bad! Gave up on Bebe. Hands down, worst app I ever used in my life. If I could, I would give it zero stars.